Our ongoing research has demonstrated that some New Zealand soils have had long-term losses of carbon under grazing. This suggests that there is an opportunity to increase the soil carbon content by altering management practices. It is important that these practices do not decrease grass growth or farm production. We demonstrated that occasional regrassing of pasture including cultivation did not result in a net loss of soil carbon. Mudge, P.L. ; Wallace, D.F. ; Rutledge, S, Campbell, D.I. ; Schipper, L.A.; Hosking, C.L. (2011). Carbon balance of an intensively grazed temperate pasture in two climatically contrasting years. Agricultural Ecosystems and Environment. 144: 271-280. Rutledge, S.; Mudge, P.L. ; Wallace, D.F. ; Campbell, D.I. ; Woodward, S.L. ; Wall, A.; Schipper, L.A. (2014) CO2 balance following cultivation of a temperate permanent pasture. Agricultural Ecosystems and Environment. 184: 21– 33. 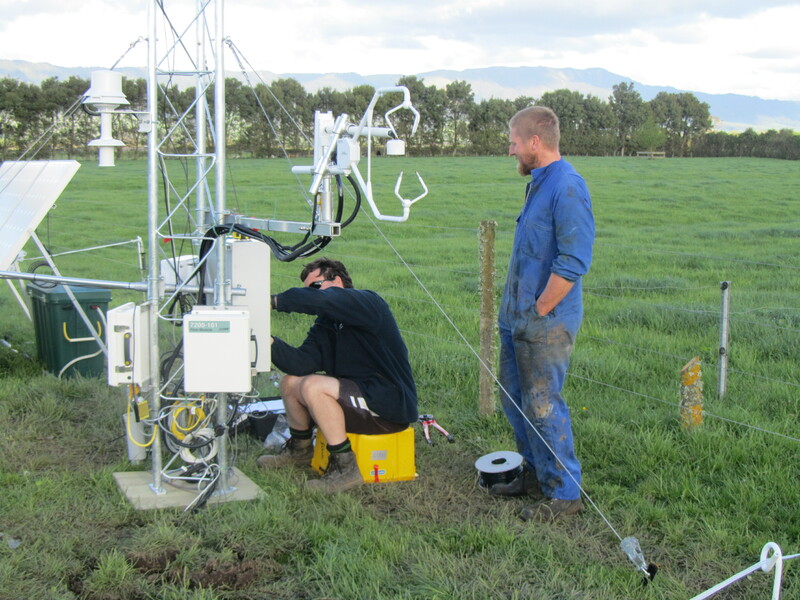 An overview of soil carbon in New Zealand pastures can be found here. We are looking at ways to increase soil carbon through increased roots inputs from more diverse pasture swards. 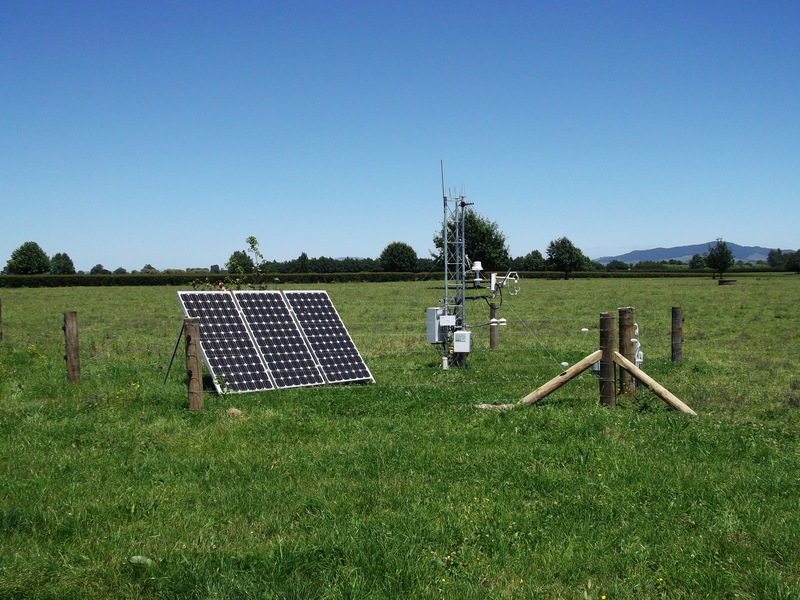 Our experimental approach is to combine eddy covariance measurements of CO2 exchange with exports and imports from a dairy farm to calculate paddock scale budgets of carbon. We have now established a study at a farm near Matamata where we will be measuring carbon budgets at three sites initially under ryegrass and clover swards. Two of the sites underwent pasture renewal with one site converted to a higher diversity sward and the other back into ryegrass/clover. The third site was unchanged as a true control. Full carbon balances are being conducted to determine whether carbon sequestration increases. The farm is run by Ben and Sarah Troughton who are a central part of the project providing advice on farm management possibilities. Aaron and Jack feature in a video of the site here focusing on carbon and water exchange. This work is funded through the New Zealand Agricultural Greenhouse Gas Centre.